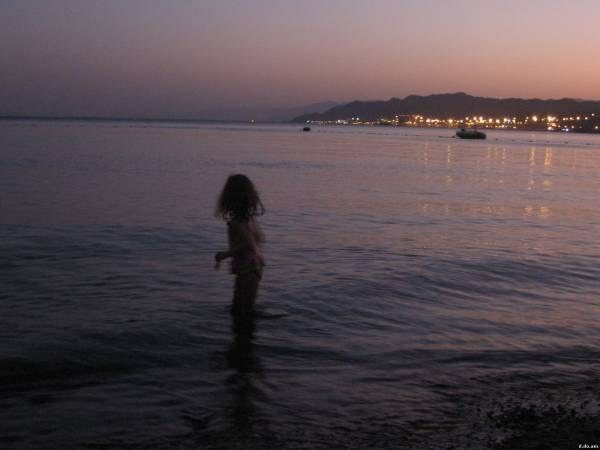 In Egypt there is a ban on night swimming in the Red sea. Unfortunately, many tourists believe that this is just a nuisance for the staff. In fact, a violation of this rule can lead to dire consequences. To admire the beauty of the underwater world of the red sea is possible from early morning to sunset. In the Red sea even during the day not touch anything with your hands. Harmless looking coral that can release the poison, feeling that it disturbed. Motile organisms can bite or scratch. Some just spit poisonous thorns. You can imagine how the situation escalates in the dark. After sunset, the water is better not to go. These funny guys prefer day to swim in the deep, but the sun is moving into the shallows. To see them in the dark is impossible, but to feel ─ it is easy. The needle easily pierced in the heel and then they were there than not to get, as they are very fragile, thin and cherkovishte. Just have to wait until they will resolve themselves. It will take two or three weeks, and the remaining vacation will be spoiled, as the leg does not stand up. Thus, there is potential for abscess. The shoes will reduce the probability of meeting with a hedgehog, but will not eliminate it entirely. In addition, the sneaker will not save you in other situations. The second danger, which you can find at night on the sea is ─ corals, which in the Red sea ─ of great variety. During the day they are visible and not a danger, but at night they can be very badly hurt. In the Red sea is home to a great variety of animals. And since the place they lack, they live in two shifts. Day awake small and harmless, but at night hosted by the predators. In the dark it is impossible to observe the approach of a dangerous animal, but it can see you perfectly. The consequences you can imagine, the more that monster all day and slept hungry. There is a ban on fish feeding. Unfortunately, many tourists do not take it seriously and leave the Breakfast with a handful of loaves for fishes. Meanwhile, the body of fish not intended for the digestion of pastry. In the end, death occurs. Tourists day fed, and the night the fish died. And the corpse the night the predators come running. If you still decided to swim in the night, think about medical insurance. "Situations of risk deliberate" is not insured. To pay for their treatment will have on their own. It should be remembered that the Red sea in the dark is very dangerous and not break the rules. Unfortunately, if you see floating in the dark tourist, it can safely handle in Russian.